This post is part of the blog tag titled, The CBC Tablog where CBC stands for Chennai Bloggers Club. About 37 bloggers from Chennai are participating in this blog tag where everyone will write about their favourite city Chennai and what it means to them. So here's my post for the CBC tablog titled, What Chennai Means To Me. I came to Madras in 1989. I was about 9 years and seven months old. I didn't want to leave the city where my formative years were spent - Bombay. I still vividly remember that I cried and cried and pleaded with my dad that we should not go to Madras or rather we should not leave Bombay. 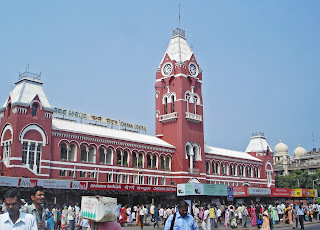 Madras or Chennai slowly became my home even though I didn't particularly like the place. We both grew with each other. I fell in and out of love many times in this city. 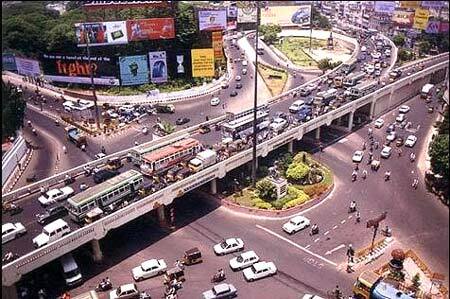 Madras gradually grew from a place with only roads to a city of long fly-overs. Many of my firsts are associated with this place which I fondly cherish. I never let any opportunity to compare the city with Bombay, go past me. I always defended Bombay whenever there was a discussion between cities. Inspite of living in Madras/Chennai, I dreamt of Bombay and the life there. I never reconciled that I was a resident of Chennai. There came a time when I had an opportunity to leave Chennai and shift to another place for work. I was glad to move out of the city. Even then, it didn't matter that my family, friends and other interests were in Chennai. I was happy for two whole years in the other place, coming to Chennai only during vacation breaks. 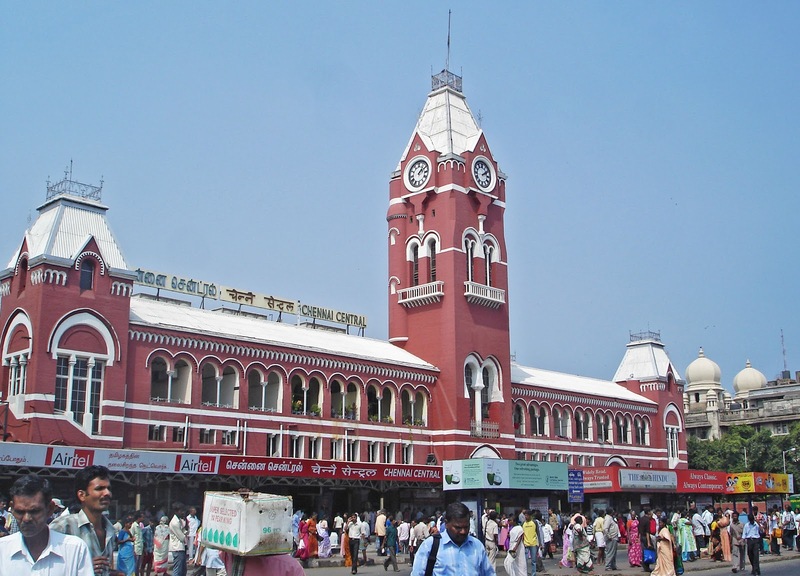 Chennai was still a surrogate city. It was 2006, eighteen years in Chennai but still the city did not fascinate me at all. Then I got married. I left Chennai, coming only for a few days or so. Now my mother's house was in Chennai. After getting married, you don't say, 'My house is in Chennai' rather it is, 'My mother's house!' Slowly the idea of my mother's house and Chennai became synonymous. Whenever I came to Chennai, it was always early morning when I arrived, I started seeing the city differently. I don't know whether it was the early morning's aura or my nostalgia soaked visits. The coolness of the air when I travelled from Tambaram to my place was magical. I yearned for that magic always. It was bliss. So far, I had always felt restless about home. 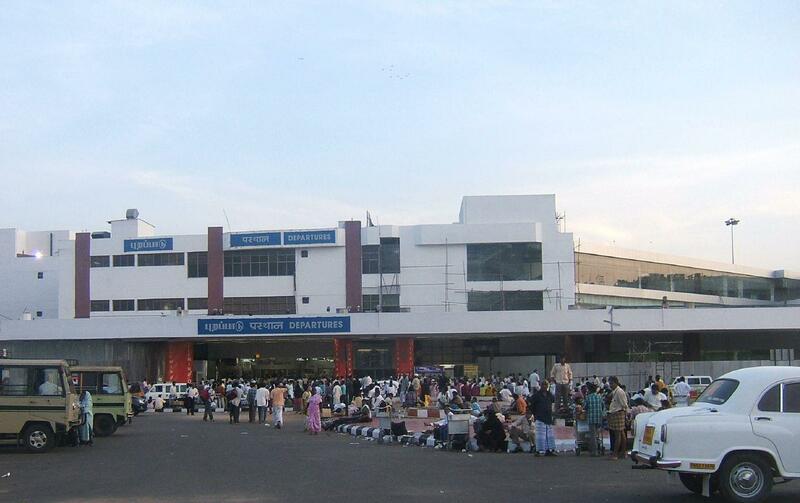 But whenever I visited Chennai after my departure from there, it seemed that I had come home. This feeling was absent in 2006 when I was working outside Chennai. I started longing for the small pleasures of Chennai like the crowd in T. Nagar, the colour or Express Avenue, the smell of the bazaars, the posters on the walls, the Gemini fly-over and so on. Whenever we went shopping, I looked at the city with an intention of taking in much so that I could preserve for later use when I'm away from it. I started collecting memories of Chennai and pickled old and new memories together with the preservative of smells, sights and sounds. Today, I am far away from Chennai and family. I realise that I had lost many years by being in a trance about the then Bombay and now Mumbai. The Bombay that I know is but a memory that is very very old and maybe I won't recognise the new Mumbai but Chennai isn't so. I don't know 50% of the places in Chennai but I know what I want to know - my home and places that matter to me. It's very rare that I get to write about places in back-to-back posts and that too about Chennai of all. This post will be succeeded by Anne John who blogs at Abstract Admissions, who calls herself an engineer in her past life and is an active member of Women's Web. Visit her blog to know more about her writings and passions. The Chennai Bloggers Club Blog Tag has come full circle with Bhavana Nissima's post on Chennai today (01 Feb, 2013). That well known adage 'You only miss something when its gone' is true when it comes to Chennai. Nice post, this Tablog is going to be fun. It's so interesting how our thoughts can change about the places we consider home. I know for years my mother hated living in the south and always dreamed of moving back to New England. That dream stopped when her parents passed away. Delightful "take" on some of India Cities, some of your own life, and many of your thoughts, Susan Deborah. I like! It's amazing how our memory works. We often times realize and cherish the small things, once we are away. Beautiful story. I have to agree, having been born in Pune and lived here. Have travelled often but I know here's where my heart is. Cities can never be compared. Each of them has a special charm. But Chennai is definitely home to me. Though I loved Delhi for a brief period in my life. Absolutely true !! Cities can never be compared in anyway. I cant imagine living elsewhere. loved reading your relationship with chennai! Nice post to read on my first visit to your blog Susan! I have seen that any place that we live in becomes home slowly and steadily. I have lived in a lot of places. During my childhood years, we moved every couple of years due to the transferable nature of my dad's job. The longest time I stayed in one place is Mumbai and that is what I consider my hometown. But today Bangalore is home where my family and heart resides :). Interesting. Except the heat, I too like this city. It's those 3 summer months that I hate about Chennai. I wish I could run away to Bglore/Mysore during that time! In contrast, I find that Coimbatore has the best climate and all the ingredients of a city that I like, except perhaps their work-culture. well as they say heart is where home is , it is funny sometimes i call india and people ask me do i remember chandigarh I tell them are they talking of MY CITY.. I remember ever inch and corner of the place for sure ..
We never realize the value of something when we are in touch with it. We realize how much it means to us only when we depart! Glad to know that Chennai means a lot to you. Chennai and home are synonymous in our dictionaries. "I don't know 50% of the places in Chennai but I know what I want to know - my home and places that matter to me. "-These are my favorite lines from this post. I was able to relate to them very much. Thanks a ton for initiating this Tablog. Cheers. Even I love Mumbai, though I lived there for a short period of time. Till date, the place close to my heart, next to Chennai is Mumbai!
" I never let any opportunity to compare the city with Bombay, go past me. I always defended Bombay whenever there was a discussion between cities. Inspite of living in Madras/Chennai, I dreamt of Bombay and the life there. I never reconciled that I was a resident of Chennai. " It should have sounded to your friends like a Major taking about the war times. Just kidding.